The markets opened on a firm note today backed by positive cues from the global markets. But suddenly the markets turned volatile and gave up early gains. Petrol prices were increased by Rs. 4 a litre, while diesel rates increased by Rs. 2 a litre. Further the Consumer Durables, Pharma and Metal stocks are also trading higher in the opening trade. However, IT, Auto, Banking and Power stocks are witnessing some selling pressure. The broader market indices are however trading higher as the BSE Mid Cap is now trading with a gain of around 0.5% and the Small Cap index with a gain of around 1%. 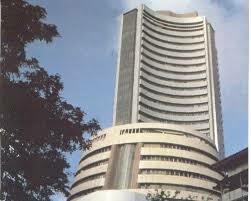 The BSE Sensex is now trading above the 14600 mark and the NSE Nifty above the 4330 mark. The BSE Sensex is trading down by 20.02 points at 14,625.45 and the NSE Nifty is trading marginally lower by 9.40 points or (0.22%) at 4,331.50. The BSE Mid Cap increased by 21.74 points or (0.42%) to 5,149.25 and the BSE Small Cap grew by 52.89 points or (0.92%) to 5,810.31. The Overall market breadth is positive as 836 stocks are advancing while 673 stocks are declining and the 44 stocks remained unchanged on BSE.